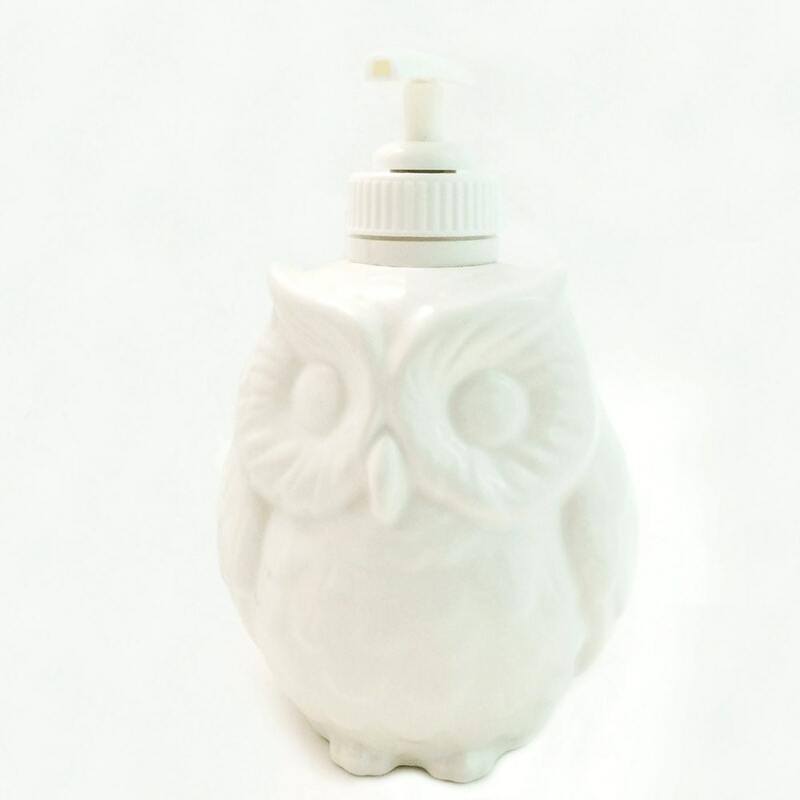 This small white owl was created to be used as a pump dispenser bottle for liquid soap or lotion. It can also hold hand sanitizer. 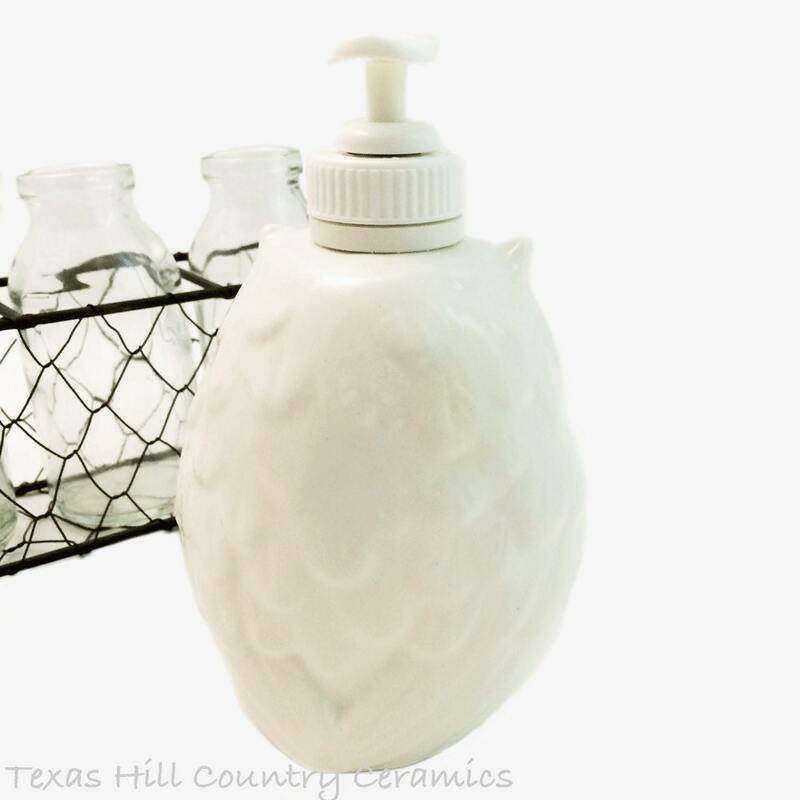 The owl is ideal for use on a bath vanity or kitchen counter. Made to Order, see processing time in the Shipping Section. The pump dispenser is fastened to the top of the owl with a threaded collar that is affixed to the top with an epoxy glue. Includes a white plastic pump unit. 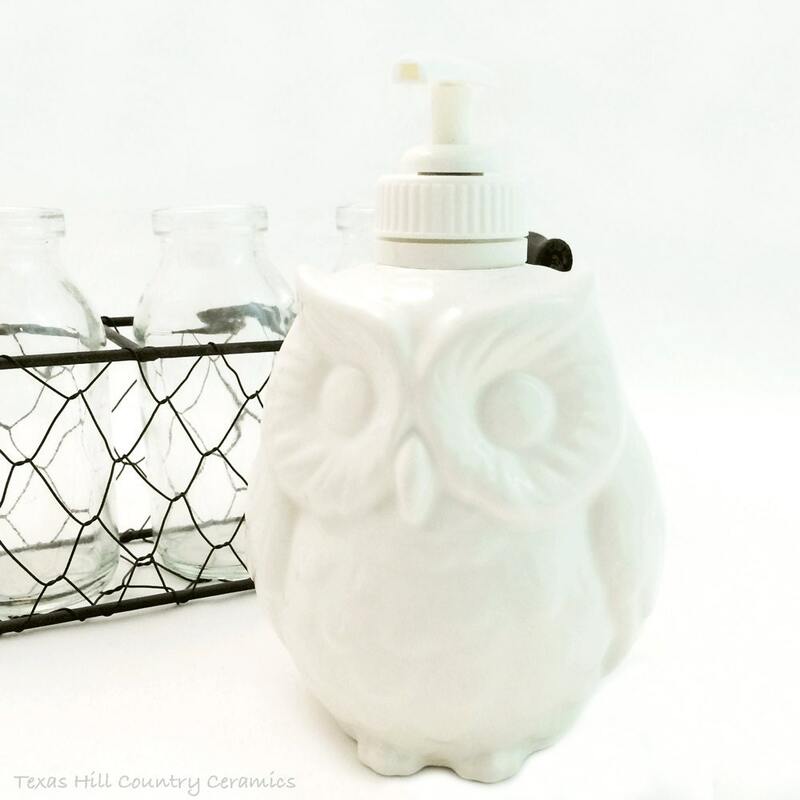 The owl pump dispenser is made of kiln fired ceramics. It is finished in a soft white lead free glaze. The owl is also glazed inside sealing the entire piece for added life. This unique dispenser is made to last many years. dorable distributeur de savon liquide ! Pas courant et très décoratif il peut trouver sa place dans une salle de bain ou une cuisine ( chez moi il a trouvé sa place sur mon plan de travail de la cuisine). De plus il est adorable et bien fini. Il y aurait 6 étoiles à mettre je les mettrais ! Exactly what I'd been searching for. This item was commissioned after I saw the painted version in this artist's Etsy store. I requested an all white version to match other pieces in my kitchen and Jacque was quick to respond and deliver. The item delivered well before the expected date in the perfect amount of packaging to keep it safe on its journey from Texas to Ontario. Thanks Jacque!